The Kishwaukee River is beautiful and clean, meandering through several counties. It is made up of two distinct branches, main (or north) and south, as well as some confusing additional branches. The focus of this study is on the main branches, specifically where the river crosses the following northern Illinois counties: Winnebago, Boone, McHenry, and DeKalb. Winnebago County has made acquiring land along the Kishwaukee River a top priority. Read more about why this river is so great! These counties are loaded with forest preserves and conservation areas that already protect many key areas along the Kishwaukee River. It is my hope to bring additional awareness to this wonderful watershed and to increase the protection of the habitats along it. My big dream is to encourage the various counties to obtain more land to connect the areas already under protection, and to determine if one or many areas along here are worthy of being designated “Important Bird Areas”. Winnebago County has several connected preserves along the Kishwaukee River amounting to over 3,000 total acres. Growing up in Rockford, the county’s largest city with over 150,000, I am familiar with most of the preserves. I’ve hiked the majority of the trails, yet only did one extensive bird study at one of them, Deer Run Forest Preserve. View more information about the Forest Preserves of Winnebago County. With eleven (11) preserves managed by the Winnebago County Forest Preserve District and two (2) additional parks, the total number of preserved acres is around 3,406.3. 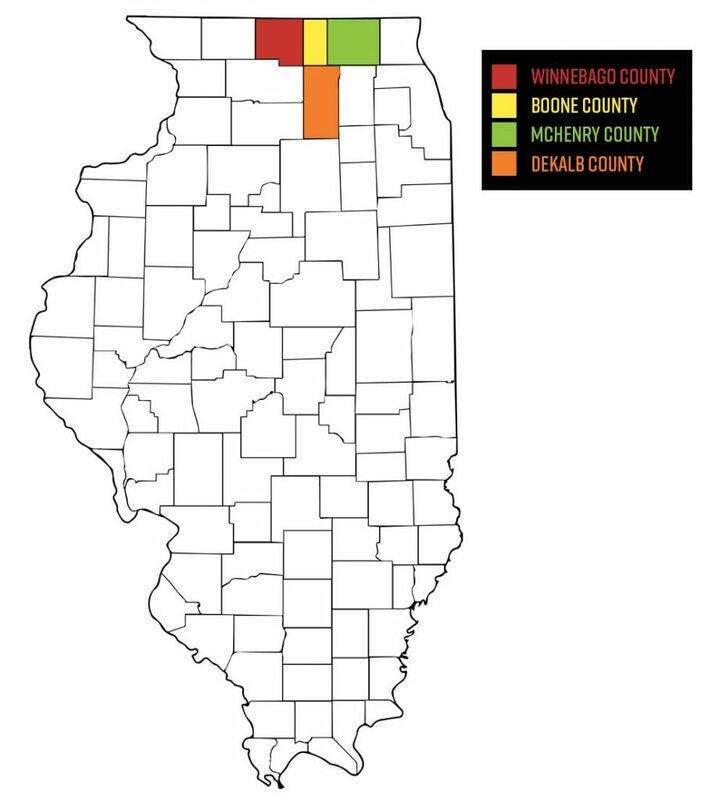 Boone County is adjacent to Winnebago on the eastern border. It’s largest city and county seat is Belvidere with a population a little under 30,000. The county is the least populous of this study with 53,000 inhabitants. Despite being small, Boone County has protected a large area along the Kishwaukee River known as the Kishwaukee Bottoms. **Total will be updated after preserve sizes determined. Kishwaukee Bottoms is stated at 1,169 acres. With a total population of over 309,000, McHenry County is the largest of the four in the KRCC. Only two preserves protect Kishwaukee River habitat, both found near the county seat, Woodstock. 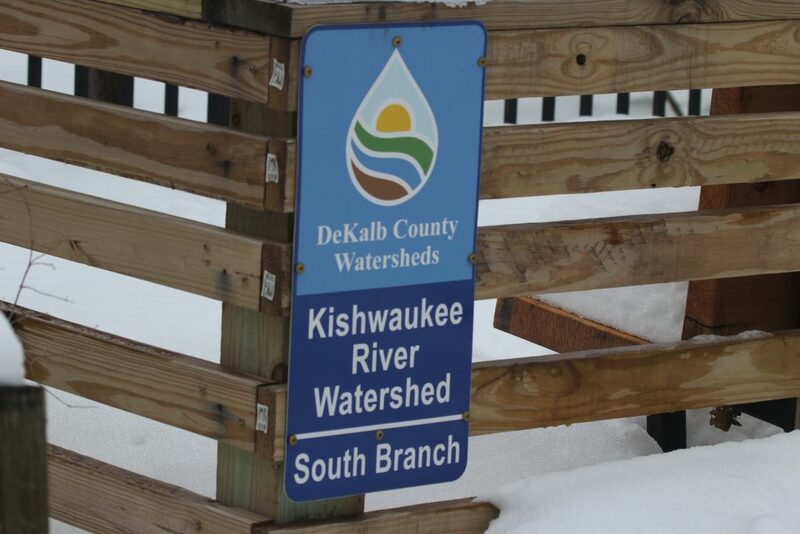 Kishwaukee Headwaters protects the beginning of the main branch of the Kishwaukee River. Though only 153 acres, this preserve is symbolic as well as beautiful. The other Kishwaukee River preserve in McHenry County is Pleasant Valley Conservation Area with 2,080 acres. Together, these two preserves protect 2,233 acres. Covering the south branch of the Kishwaukee River, DeKalb County has a population a bit over 100,000 but also is home to Northern Illinois University with around 20,000 students. The preserves are small and spread out across the county. Read more about all the DeKalb County Forest Preserves.